Obviously I’m still in the planning stages for my breakfast room, but almost everything is starting to come together in my mind, and I’m so excited to see my vision become reality! 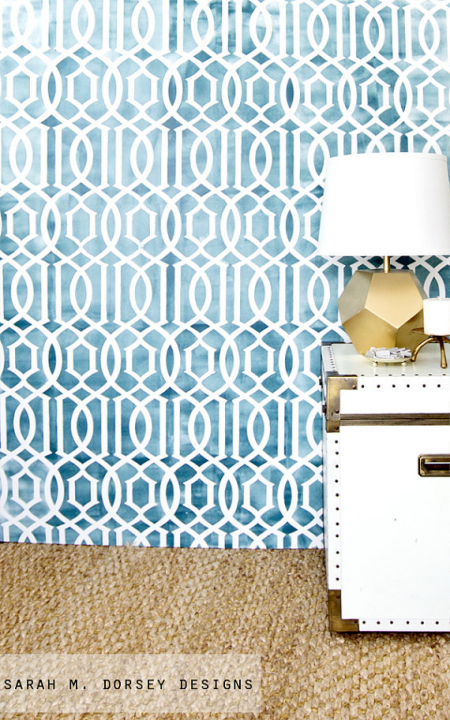 I know for sure that my walls will be two sheens of black, painted in a subtle trellis design using this stencil. And I know that I will have this chandelier above my dining table. My dining table will be this one, but I’m actually open to changing the finish if I need to, but I’ll see as the room comes along. And the dining chairs will be these four wingback chairs that my step-sister Cathi gave me. They’ll have to be tweaked a little (they’re not tall enough) and reupholstered for the room, but they’re on the small size which makes them perfect for dining room chairs. 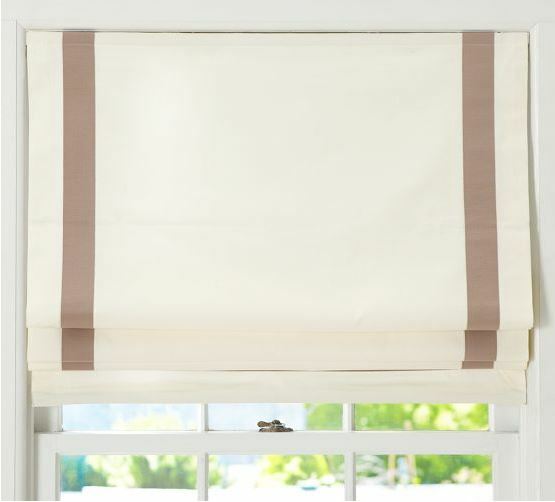 My window treatments will be white Roman shades with thick green ribbon, similar to these from Pottery Barn. Actually right now, I’m not sure if I want Roman shades or curtains on the big front window (which is actually three windows). I keep going back and forth between curtains and Roman shades, but regardless, they’ll be white with thick green ribbon accent. And the two windows at the back of the room will have Roman shades for sure. So that brings me to the fireplace. I want to put a fireplace and a seating area at the back of the room. The fireplace will go between the two windows on the back wall. Excuse the mess, but here’s the picture I showed you on Friday to refresh your memory. From that view, the kitchen is on the left. In fact, here’s a view to the left showing how the kitchen is situated in relation to this room. So the big question in my mind is what to do with the fireplace. I’ve looked and looked at pictures of black rooms. There are more and more showing up on sites like Houzz, but not all of them have fireplaces. So for some of the options, I just have to use my imagination. For example, this picture gives me an idea of what a stained wood fireplace might look like against a black wall. I really like the idea of adding stained wood to the room, not only because I love stained wood, but because I think it adds such beautiful warmth to rooms. Of course, an obvious option would be to paint the fireplace black from floor to ceiling (i.e., fireplace as well as overmantel) and use a pretty stone tile around the firebox. Here’s another black fireplace against black walls. I really do like the subtle look of a black fireplace against black walls. And since my walls will be stenciled with a pattern, perhaps subtle on the fireplace is the best option. But I’m just not sure. And then white is always an option since the ceiling and trim will be white. Right now, the white is probably my least favorite option simply because it seems so jarring against the black walls…although I do like it in the photo above. But for some reason, I have a much harder time picturing it in my breakfast room. The subtle choices of either a darkish stained wood or black seem to appeal to me more. Or maybe I’ll go bold and paint it green! Previous Post Original Kitchen Inspiration...From 1960 Paris? Next Post Do You Decorate For Yourself, Or For Some Unknown Future Owner? Maybe that’s my problem with the table as well. I do have another table base that’s much more transitional stashed away in the garage. Perhaps I’ll use it instead. The downside is that my current table has a leaf and can seat up to eight people, and the other table can only seat four. I think the table looks country-sh as well – but if the finish were different – not white – that could make a big difference. Since you are reupholstering your chairs what fabric do you plan on using? That may help tie in the black walls (the poshy vibe) and the table. I like the black fireplace though as well. I agree with Lynn; I think black makes everything look richer. I also think you could add a hint of gold (like you did with the silver on your blue console table) or a gold band or perhaps a nice gold and green stencil in the center or around the edge? I like the table feet, they look like claws and it could go transitional because of their curve. I think the band of edging around the table top and the stain is what makes it look country. could you make a new table top/edge? I also love rolling chairs around a table; I have casters on mine. I can’t wait for your chairs and table; will you want that to drive the other pieces? I always work around my comfort first and then build what I need for decoration. i think the table pedestal being white is what makes it have a country feel. what if you paint the pedestal green? This is going to be spectacular! Love your style! Hi Kristi…if you like the look of stained wood to warm it up, why don’t you stain it in a similar color to your table? Will the chair legs stay as they are currently, or will they change when the chairs are redone? I always like the rule of decorating in 3’s, so you would have 3 wood elements in the room…. 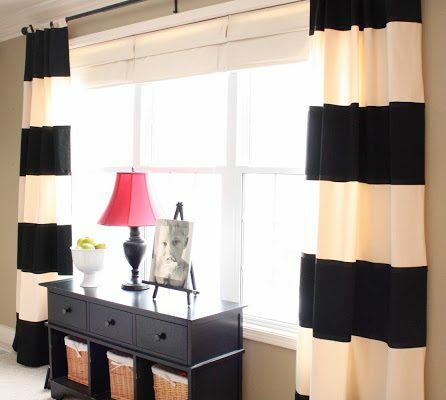 White would be my second choice, again, the rule of 3’s….your window treatments will be white against the black walls, and your table base is white…. The chair legs will probably be covered up completely. 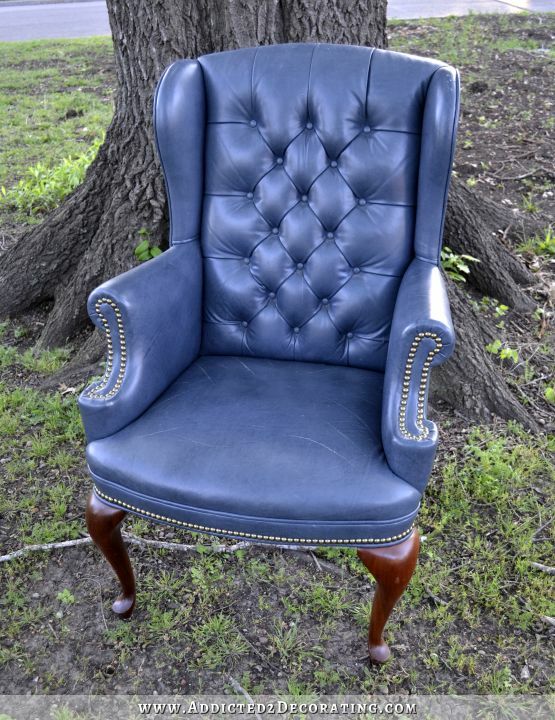 I’m envisioning skirted wingback chairs for the table. If you find such a thing as dark green w black marble, that would look stunning around your firebox. I like the idea of stained wood as well as a black fireplce on the black wall and I agere that white might be a bit boring. When I read your comment on the possibility of changing the table’s look I was rather astonished, as you particularly made it to go in that room, but I can see now that the white foot could be too much of a contrast for the room. I guess, painting the white part either black or dark green would help. I hope you don’t plan to change the lovely cerused surface, though, because that’s what makes the table sensational! It’s the white base that I’m really not crazy about on my table. Not sure what else to do with it, other than paint it black. But the white just gets so dirty so easily since I’m short and always put my feet on the legs of the table. I like the white and black. But then, I am a fan of some contrast. The other options all look very dark. And have you considered installing a new base on your table? I don’t doubt you could do it, and then that table works perfectly. Have you considered painting the table base in a gold/bronze color? I would change the skirt on the table top or remove it all together. 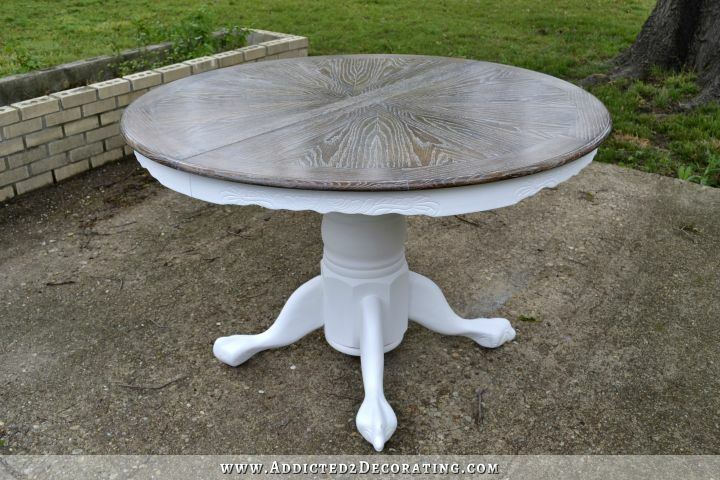 I’ve noticed a lot of round dinning tables no longer have the skirting attached to them. The skirt on my round table top is screwed on and can easily be removed. Love the idea of skirted wing back chairs. Will they have a tailored skirt? As for the fireplace surround…do you want it to be a focal point in the room or do you want it to fade into the background? I think a very small black tile would be stunning and give it a little shine without taking away from the beautiful stenciling that in my opinion should be the focal point of the room. Can’t wait to see what your decisions are! Maybe black fireplace with gold or gold-leafed inset tile. This will be your second fireplace in 10 months:) I started to follow your blog while you were working your magic on your livingroom fireplace, and I WAS HOOKED!!! I continue to be blown away be your woodworking and design skills! Because your windows will have white trim and white blinds, I definitely would not go white. I also do not think I would go black—because it will not show your awesome craftsmanship. A nice darker wood tone would be lovely. Love your process Kristi. Blessings to you! P.S.How is your condo coming along? Still haven’t made it over to the condo. 🙁 Matt asked me to wait until we’re through with this phase of our diet, where I’m having to cook twice a day plus make sure he has two snacks a day. He said once we’re through this phase (which is 12 more days, I think), then he’s okay with me spending my days over at the condo. 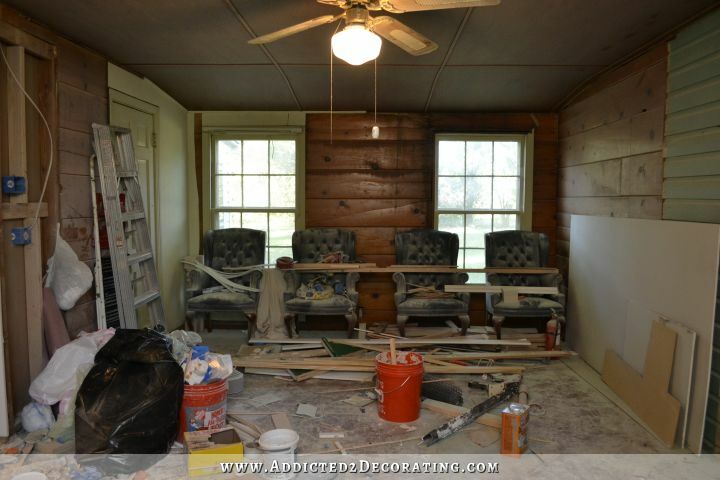 So excited to hear you’ll be using wallpaper in this room. It will be exquisite. I’d vote for a wood FP and I like the table top finish as is at the moment. I love looking at rooms that have impact, yet are interesting and a variety of wood finishes will give the room a collected look. Plus, as you say, warm it up. Ethan Allen is now offering their miller table in a finish similar to yours and gives shoppers an option to change the base to different colors online…might give you new ideas. I like the stained wood idea…to add warmth…course, if you stain the floors like the kitchen, that will take care of that. What about a green with white tile around the front of the fireplace insert and hearth, like the kitchen? Ii think the warmth of a wood fireplace would look best. In my opinion black would just detract from the beautiful black wall stencil design and white is just too blah and expected. With the colored green cabinets in the adjoining kitchen and you lighting choices would would compliment all the best in my opinion. I can’t wait to watch the transformation of this room. I love a white fireplace myself. Doesn’t have to be exactly like the one in your living room but for continuity I think it would look lovely if it were similar. I don’t think it would look jarring since you will have so much white trim. You could always add the warmth of wood in a furniture piece. And I agree with Melissa. I don’t quite see the country looking table in there. I really love what you did to the table but just can’t see it in this elegant room. Looking forward too see your vision become a reality. Good morning. I am thinking maybe a soft grey fireplace would work. The windows will have 3-inch white trim around them — the same trim that I’ve used on the sides of my doors. It won’t have the top fancy header part, though. I agree. The reason why that white fireplace doesn’t look jarring in your inspiration is because of the white trim and white bookcase right beside it. I think you would have the same look going on with the window trim on either side. This might be a job for photoshop to envision the options, though. Also, your fireplace won’t really be surrounded by that much black, since you’ll have some type of decoration on the mantle. To me, a wood fireplace when the rest of the trim is white looks out of place. I think free standing pieces are better suited to being wood. I like the idea of a solid stone or cement fireplace (nothing too ornate) it would be neutral to tie into your countertops and cerused tabletop but not as jarring as a white fireplace. I totally agree. Concrete or stone that matches your countertop would tie it all together. I like the idea of the same green as the kitchen cabinets with a little gold touch. Lowes has some gorgeous tile that looks liike honed cararra marble. It has very subtle veining. The green would reference your kitchen in this room. The honed look tile would bring in the look of you counter tops. All this would stay within your color palette. Would gold be too much? I think that could be really pretty. Also, Little Green Notebook had an all black one that she covered with Ardex. It is beautiful. Maybe that would be contrast, but not too jarring. Hmmm…it’s hard for me to visualize gold. I’ll have to see if I can find a picture. Maybe a touch of gold here and there would be pretty. I like the idea of the green from your cabinets with a little gold leaf detail for the fireplace and green or black on the table base. If you are replacing the legs on your chairs do the same treatment you used on your table top. What color are you upholstering your chairs? P.S. I love everything you do. Everything you touch turns out beautifully! I’m not sure about the chairs yet. That might be interesting! I do have a few extra bags. I’ll have to give that some thought! I like this idea. I like the idea of different textures in the room. And because the fireplace will be seated between two windows which overlook the back garden, I think the stone-like appearance of the concrete would pull the outside in and the inside out. to me the wingback chairs would look better by the fireplace (2 of them there and 2 in the music room or all 4 by the fireplace) . they just do not look like they would go with the table and you table is looking a little country-ish. I love this green fireplace. WOW! It would looks like a wow! WOW… LOVE IT!!! Would look stunning and also tie in with your kitchen… good luck with the decision making process. Love the green fireplace Billie. The concrete like the counters at the inset area, maybe? My idea, though not thoroughly formed… Paint the apron and the base of the table black and then ceruse the mantle of the fireplace. Maybe also some kind of faux (or real depending on the cost) malachite inset around the fire box opening. Maybe another option could be a limestone or faux limestone mantel. The limestone provides a contrast with the black, but isn’t as stark as the black/white contrast. Jenny Komeda just posted some pictures of her living room where the fireplace (which used to be black), now appears to look like limestone (towards the bottom of the post). They built out the mantel themselves and show how they did it here, when she originally painted it black. After further investigation, I found out she skim-coated it with concrete. Would be a beautiful tie-in with your counters. Now i’ll leave you alone for the day. I like your idea of limestone or polished limestone. I love polished limestone myself. Is this to be a working, wood burning fireplace? I know you dont like it, but I love the white. It is so dramatic and classic. Plus, with the bits of gold you are going to throw in here and there……it will be perfect. PS – the coverings for the chairs (whatever you end up using) would look cool with the trellis design from the walls. Just a thought. I’m just not loving the black & white against all that green in the kitchen…..I’d try to tie the two rooms together with the green, somehow…….. 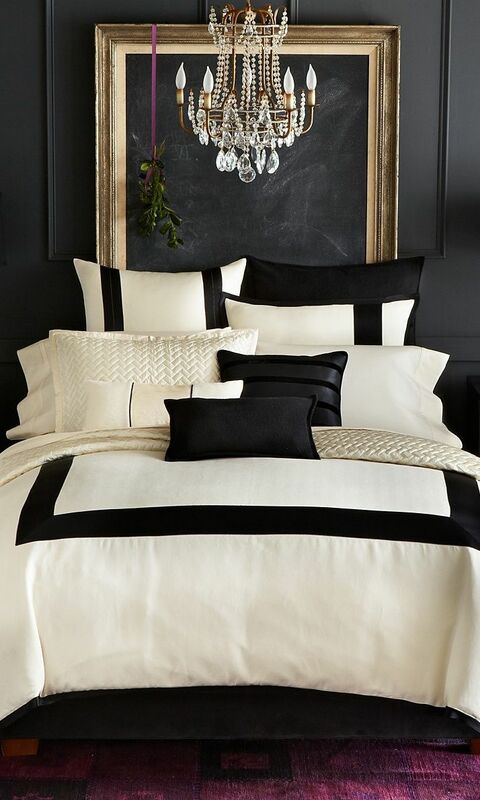 I really think the room has a lot of black to it but that is entirely your choice. I’m sure whatever you do, it’ll turn out really well and look beautiful. I’m thinking that the front windows need to be left without cover for the light factor but if you feel you need to have something, I think I’d love the Roman shades to match the others and bring just a bit more green into the room. Another thought just occured to me about the fireplace – you could go with black or stained wood and what about a green marble tile for the part just around the hearth? Reading your post, all I could think of was green and gold mantle with black marble surround. I still see that in my head. It would be stunning! I immediately pictured a green fireplace that mimics your kitchen with the gold-leafed detailing… it’d be beautiful! I know you’re kidding (kind of) but i love the idea of a green fireplace. I don’t have to live with it though lol. Good luck with your decision making! I love the tone on tone idea!! So elegant!! I did it on a set design a few months ago and it is so easy and has such impact! I was thinking about something to tie into your lovely cement counters. I found a picture and hope I get the link right! And for what it is worth, I like the mix of styles like the elegant room with the casual table. Even white it would work, and painting it black or gray would soften it, but put it on the perfect rug and any of those colors would be a nice mix of colors. There is a casual elegance in the mix of styles and colors that you do so well!! I agree totally. I like an eclectic room with many styles. It is unexpected. What about a wood panel fireplace? I wouldnt go with black unless you have a fire going in the fireplace. It will get lost as a focal point in all black! I think someone else may have said this, but I’d say the same tone or even the actual finish from the countertops in the kitchen. I love the stained wood, but unless you have light tile I’m afraid the fireplace will get lost against the bright white windows. What about black and brass? These doors made me think of some of your barn door ideas. Kristi: I think if I am looking at the whole picture. 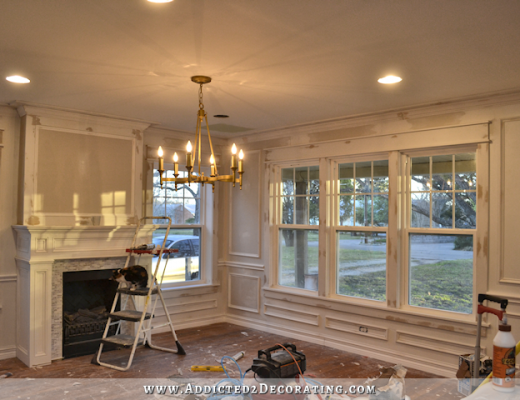 If you do white drapes on those two windows and a white fireplace it will look like one full white wall, however if you do black the white drapes will stand out and the fireplace will disappear. I like the wood. It gives the room a focal point and would offset the white of the drapes and the black of the walls. Metallic! It will add some sparkle next to the black walls without being high contrast. Because the room is on the smallish side, how about looking into a wall mounted gas fireplace…..black with brass framing? The fireplace would be hung to your desired height then it leaves room on the floor for a small table between the chairs you’ll use as the conversation seating area. Just another option. It will look wonderful whichever direction you plan. That’s a nice option. Maybe a little contemporary/modern for the rest of your transitional home though??? The room isn’t small. It’s 12 x 24. I saw this pic and thought that a stained wood with a hint of gold would look nice. For the table what if you just added a little bit of a darker colored wax or add some gold to highlight the detail on the tables edge and feet? Right now the top is beautiful but the base is a bit too stark. But the feet are so cool!! Maybe the pedestal and the feet get painted in the green and then add a little hint of the gold in the rings and on the feet? Just dress up the details the table already has. ..Now ..after all that…..Kristi….I love all that you’ve done and admired your gumption……I’ve always said…”we can do that”….or..”what if we…..”…..but you’re actually doing it…..keep up the great work….. I don’t have an opinion on the fireplace, but I agree that the table looks to casual for the room. If you use that table, paint it black or or some kind of black and gold finish. What about a black and gold fireplace? There is an example in the attached link, just scroll down to the bottom of the page. Also, what do you think of the pedestal on this table? You are super talented…maybe you could recreate it or something similar if you like it. I love that fireplace screen!! I also really like stained wood, I’m just not sold on the look against black walls. I know your stencil is going to be glossy black on flat black. What about a very glossy black fireplace? Or shiny black marble? This is one place you’ll need a large mirror for contrast. If you end up painting it white, then you should paint the tabletop white also. Your options are endless. Glad you are choosing to go ahead and work on it next! It will finish off your gorgeous kitchen nicely. Love the idea of the fireplace and think the best would be black. Then neat stone . The table I think should be green on the base (matching kitchen) and stained wood top for warmth. Not sure about fabric ideas for chairs but waiting to hear your choices. I’m thinking something in black for the chairs. Love all that you do and so glad I get to watch. I loved the look of the white fireplace with the white ceiling, and white trim. It feels classic. (I also liked the white chairs, but then again, I constantly find myself drawn to white furniture even while knowing that would never work where we live!). Also, if you have a white table at the other end of the room, having a white fireplace at the other end would balance things out. I’m not clear, though, whether you plan to do a mainly black room with a little white and green? Or more black AND white with pops of green, so it ties in with the kitchen, but is a room in it’s own right? I found it interesting that the last two fireplaces drew my attention because of the big silver bits of “bling” hanging above them — one of the fireplaces is black and the other white. So maybe it’s more important how you “dress” the area above the fireplace, than the actual color of the fireplace itself? Another option might be a concrete surround for the fireplace. It would tie in the concrete element of your countertops in the kitchen & wouldn’t be as stark as white. Not sure how you would go about the DIY on it, but I’m sure it’s a challenge you would meet to perfection! I think the chairs would look good upholstered in green with brass/gold tack trim to help bring in the cabinet color. If you stained the base of the table the color of the floor it would fade into the floor instead of stand out but that might not look good with the table top. I like the white fireplace since you will have white trim on the windows. 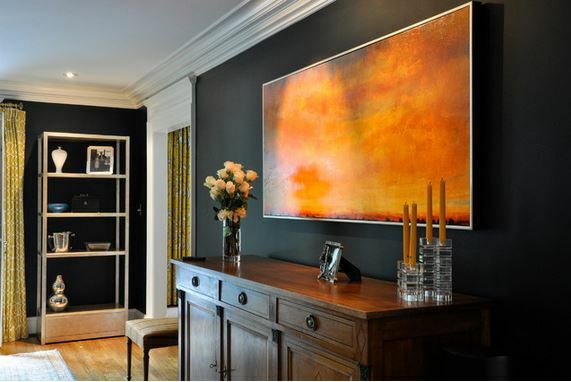 Use black above the fireplace wall. I also agree the chairs would look great near the fireplace and you could use two at the table and use lighter feeling chairs to go with the two upholstered ones. Love your plans so far! I would SOOO gold leaf that table base to chic it up girl! I work with gold leaf all of the time and that base would not be hard to do with the larger sheets. It would for sure take away that country feel. I think the dining table should be completely stained, no painted legs or top and the fireplace should be black (it will stand out without the stencil). Also, would a white fireplace that is used get really dirty? Here’s my idea for you. I love the black/black but I feel that to tie in the kitchen and the breakfast room together it would stunning to paint your fireplace the same green as your kitchen and for the surround choose the gold as on the original back splash of Cameron’s kitchen. Then for your table paint the pedestal green and the top in matte and shiny black like your walls. Maybe do the same stencil design onto the table top. then do you chairs in a green leather, black feet and a black/green skirt. I think a tarnished/aged copper or metal finish would look awesome against the black!!! Maybe something along the gold color trimming your kitchen cabinets! I was about to write the same. If I were you, I would go for some aged copper tone. It would look amazing! specially with that table. And your chairs green. It’s going to be fun to see what you decide on. 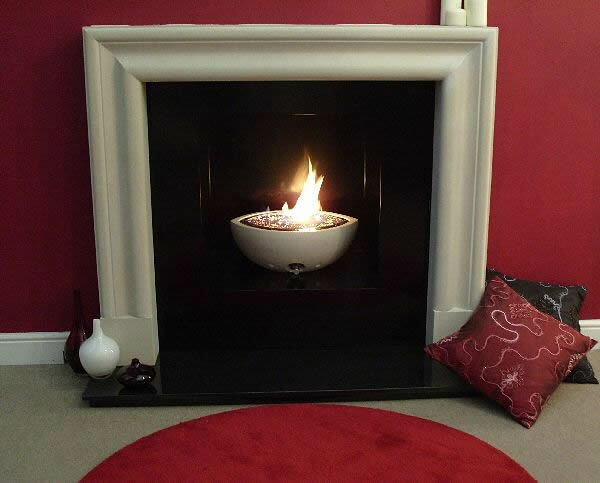 the two black fireplaces are stunning but what about looking at some really eye catching stone for around it? Some gorgeous green onyx or a white stone with a bit of sparkle? I must admit I am feeling confused by the vision you have. The images that come to mind with a breakfast room are light, bright, airy, casual, whereas black, stencilled, glamourous table, fireplace shout dining room to me. Which is ok if that is what you want it to be. I do love the last picture on this page for a dining room. For the fireplace I would go with a matt concrete surround, polished wood mantle and definitely sconces similar to the ones in the kitchen. Paint the base of the table a matt black as well. What about a stone fireplace with a wooden mantel? Or you could mix black with stained wood? I love love love the idea of a green fireplace. With that said… what about something with concrete and wood? Bringing in the warmth of the wood and the concrete from the kitchen? I love watching your progress and designs take form. Can’t wait to see what you decide! The table top is hands down gorgeous. The base and legs are a bit heavy but could be workable. It’s the subtle design in the apron that takes away from the sophistication of the piece for me. The “country” feeling is still lurking, even though disguised. If you could somehow fill in/smooth out that design in some way I think it would look more polished and more of the look you are working toward. Your beautiful kitchen and plans for the breakfast room deserve no less. I like the idea of doing the fireplace with a stain to match the table top and paint the table base black. But as you said when you get to that stage in the room you will see the vision fall into place…I know it will be beautiful! I agree with the table. It’s not right for this space. I don’t think color will change the table enough for it to fit. But, I’m thinking white fireplace with the same green stripe as the roman shades. Perhaps, the garage table painted the same as the fireplace and shades. Your photo showing the view of the kitchen also made me think of green, maybe you are rubbing off on me? Another idea would be to use that cool waxed effect you used on the table top on a stained wood mantel and above. My two cents on the table base: don’t be so quick to give up on it, whether you sand off the white or not. Eclectic is good. All transitional=SO BORING! I think a more formal table, maybe with multiple leaves, would be great in your breakfast room, and provide seating for more people. Perhaps your current table could be used in the sunroom eventually? There are some lovely tables on Craigslist in your area. My first thought for the fireplace was green. It wouldn’t be too jarring against the black- the way white could. Then I saw the post from Billie and I was convinced! Green would tie in with kitchen, too. I think you could even add a bit of gold, like the cabinets. That would be beautiful! ! PS. I am still SO in love with your chandelier! I love your ideas on the black walls and a fireplace will be heavenly. A suggestion on lighting. We remodeled our dining room 2 years ago, it is 12′ x 26′. It is used strictly as a dining room. I have two 9 light chandeliers hanging over the table. When we were installing the light boxes for over the table, an electrician friend of ours suggested adding canned lights at least in the corners of the room on a separate switch. We are soooo glad we took his suggestion, I have all lighting on dimmers, so as no dark corners. For curtains, could you do both roman shades and curtains? Depending on how you did it, that could bring added warmth, texture and layering. Maybe a natural texture for the shades and then the curtains with the green stripe layered on top that would coordinate with the roman shades you are making for the other side of the room. I definitely believe that in order to ‘upscale’ the dining table to be room-ready for what you’ve got in mind for your breakfast room, is going to take a re-think. As it is now, I think you could move that ‘countryish’ pedestal into elegance by treating it to a “metal makeover.” Personally, I picture the bottom part in silver leaf, or some other treatment that will accomplish the same look. 🙂 And you did say that you like mixing metal finishes (as do I) in a room. What about a white fireplace to pick up on the colors in your dining room table? I think that would be beautiful. You could add a sideboard (buffet) that is wood or black on the outside with white drawers and brass fixtures to pick up your lamp. 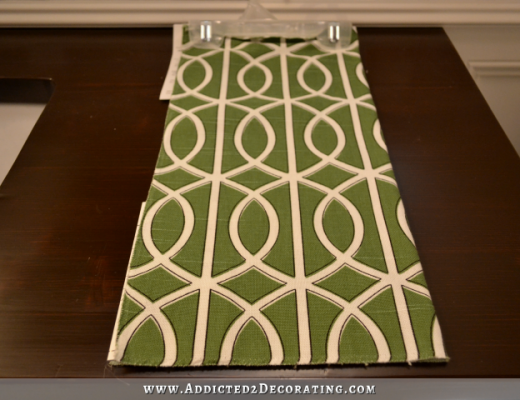 Put some green print pillows on a couple of the dining room chairs and use green and white in your table settings. Brass fireplace tools/basket next to the fireplace again ties in to the brass on the light fixture. I think your kitchen is gorgeous and will tie in beautifully. BTW – I once decorated a galley-style kitchen with a black and white checked floor set on the diagonal and loved it. Have you ever done one or had one? For some reason, I’m always drawn to a black and white floor. Maybe I lived at Versailles during the 16th century! My thinking was that I wanted my walls to look like they’re wallpapered with Kelly Wearstler’s Imperial Trellis wallpaper in Onyx Gloss from Schumacher, which is so dang expensive I couldn’t even buy one roll, much less wallpaper my entire room in it. Oh my gosh, I’d love to see your hot pink fireplace!!! Green or black would be nice, this link shows green leather. it’s not leather. 🙂 The stuff that’s on there isn’t worth saving. Did you like the green chairs though? It seems like a fun way to pull in the green from the kitchen. The concrete fireplace is a good way to add another layer of texture. I love the white fireplace against the black walls. It just pops so well. I also think the table legs are too country looking for such an elegant dining room. The room looks more like a formal dining room rather than a breakfast room. A black fireplace with green marble accents. Your fireplace with be your statement of your room – make it sing! Very continental. Very sophisticated. Too much marble is horrendous and simply OTT but a brilliantly coloured accent is sublime. You would need very little and you’d be surprised at how green marble almost exactly matches the colour of your kitchen cabinets. And curtains, not Roman blinds for this room because dark walls with a white ceiling need the horizontal lines of the flow of the fabric to prevent the room appearing forshortened and squat. The longer the better for your curtains to bring the eyes up, to visually lift your ceiling. I love the stencil idea on each side of the fireplace. I think the white trim and white fireplace trim would look great of you use the chairs upholstery for your pop of green color. I would so do a bold print! I love your stuff and wish I could do the same. I’m definitely considering the concrete mantel. Several people have suggested that, and now my mind is spinning with ideas on how to pull that off. Since you have gold leaf in the kitchen, why not continue some metallic into the breakfast room, for flow? I vision a medium-dark walnut wood and cooper accent fireplace with a walnut stain on table base and chairs to tie them in. i think the copper would blend well with the hints of sheen on the wallpaper, too. I am ADDICTED to your blog. Thanks. You are blowing me away with the creativity and vision you are approaching the remodel of your home, it is amazing! I especially loved the concrete counters and the french door with the linked circles. I was so excited by what you were doing that I checked your website several times a day! I really liked the white fireplace the best, and in thinking about the reason I realized that they visually echoed the lines of your counters, I wondered if was possible to use the same techniques you used to create the counters to make a concrete fireplace surround? I’m pretty much digging the idea of the warmth of the stained wood fireplace against the black walls! I think it would balance out the whole space. Plus, I love the way stained wood capturs the beauty of the knots and striations in the grain. I’m not sure what to say about that table though, because I love the cerused top…but I do agree that the legs don’t work in my mind in the room. Could you strip them down and do a black stain with a satin finish? Or build some new ones? Or should you ceruse another table altogehter? Or does the cerused top even work in there now? All things to ponder while you get the room cleaned, the condo ready to sell and work on the bones of the breakfast room…keep looking and pondering…I bet something will strike your fancy!! Hi Kristi, I love your idea to use a round table in the dining room and you are so lucky to have been gifted those great four matching chairs. I made a Pinterest board for you of some interesting ideas that can be done to add some artistry to your existing table. Maybe you could use the table top of your existing table since it expands and you that feature but add a new table top skirt and base? Some of the ideas on the board are just to give the concept. 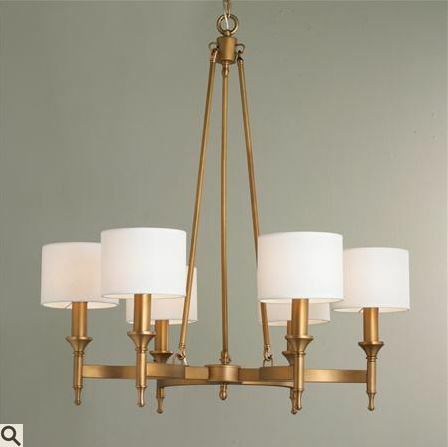 I really like the look of the Addison gold metal table base from West Elm. I know you’ll come up with something great that’s perfect for you and your home. http://www.pinterest.com/cwmade/table-ideas-for-kristi/ I love your blog and always look forward to posts when they arrive in my inbox! So many awesome ideas! Thanks, Amy! There’s one that has a pedestal table (the design is definitely more transitional than mine, which is unmistakeably traditional) that is just a solid stained color, paired with upholstered chairs. If I redo my table in a solid stained color, I’m really thinking it would work, especially since the chairs will probably hide most of the base anyway. I may try it, and if it doesn’t work, I’ll move on to Plan C. 🙂 Thanks for the ideas! There are so many that I’d love to try! I just recently stumbled upon your blog and love seeing all your progress. We began a major gut/overhaul of a tax sale purchase last August. We’re still at bare studs and gutting the last two spaces, but hoping to get the last windows replaced, siding on, roof replaced this fall. Your blog offers loads of inspiration for me. It’s a bit overwhelming when I think about all the design choices yet to come. Time has been both a blessing and a bear. I’m not very patient, but I have been able to layout my general design goals. Can’t wait to see what you decide for your space! I know you don’t want to decorate for the maybe, possible next people who might buy your house some day, but you might want to consider a fireplace for the next time you redecorate your dining room. Perhaps, pick something that will work years from now with completely different colors in there. I’m thinking stone or wood that both go with so many decorating styles. Just a thought. Timing is everything! This is a link to an article in my latest HGTV e-newsletter. I thought of you when I saw it and think it might be interesting to you. Personally I love the white fireplace/mantle. Love the idea of black walls. For the fireplace, I vote either black or stained wood. With the green kitchen, white could be to much of a contrast. Black would let it just be, rather than be a feature. A wood tone would help warm up the space and “cozify” the sitting area, as long as it doesn’t get too folksy to compete with the kitchen. Do you want the fireplace to be a main focal point in the room? If so, the white or any other colour than the black would fit the bill. The black on black would be nice and subtle. Using a nice tile or stone in black would be beautiful. 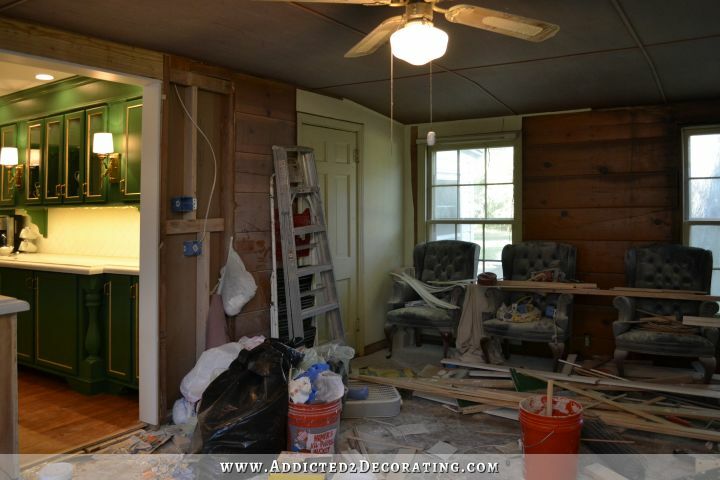 Maybe your mother could paint a picture that referenced the green in the kitchen cabinetry to go above the fireplace. The mantle could be tricky if you use something other than the black as it would look like a line across the wall. If you go something other than black for the body of the fireplace then a stained wood mantle would finish it. No matter what you do decide you always end up with the right decision.